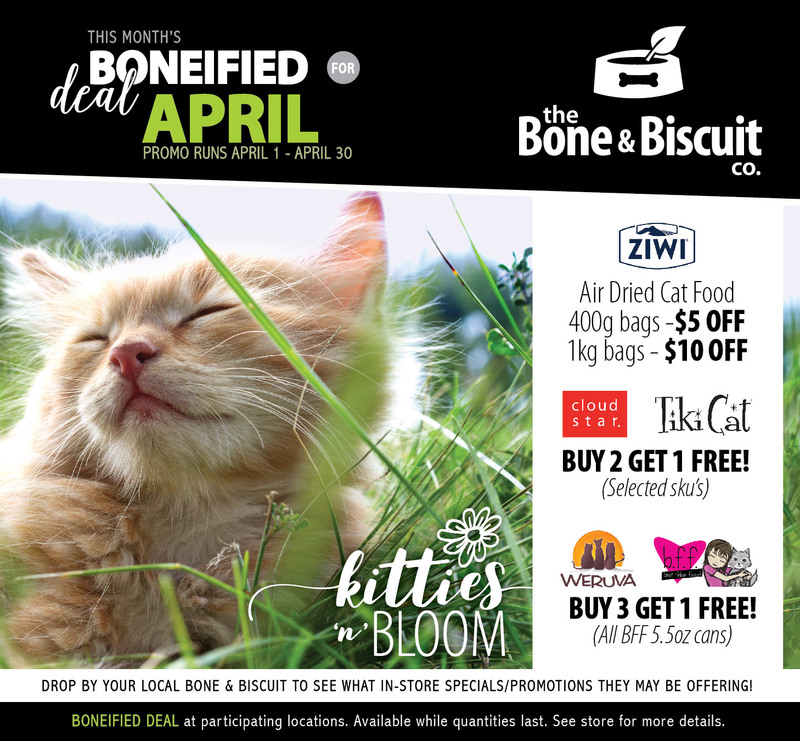 Pet Supply Store Kelowna BC | Bone & Biscuit Co. Locally family owned and operated, Sheldon and Lauren are extremely passionate and knowledgeable in holistic health for your loved pets. We cater to the health-conscious pet parent and strive to carry only the highest quality cat and dog products available. We have an excellent selection of raw, kibble, freeze-dried and canned food. In addition, we carry a large assortment of supplements, chews, toys, treats, accessories and specialty bakery cookies. We strive to provide only high quality natural & healthy pet food to pet owners. Stop by our store to learn more about how the right products can help your pets live a healthier life.